Tip: How to park it! Often when touring you need to be able to park your bike (and for it to stay still) whilst you find something in your pannier or you sit down to eat lunch. However, frustratingly if the ground is not completely flat or your panniers are unevenly weighted the bike will roll – as they are designed to do! A quick and easy solution, that we heard on the grapevine, is to make your own parking brake. 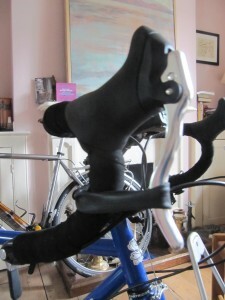 Something small and elasticated that you slip over the brake levers when you are stopped, forcing the brakes to stay engaged and preventing the bike from moving. 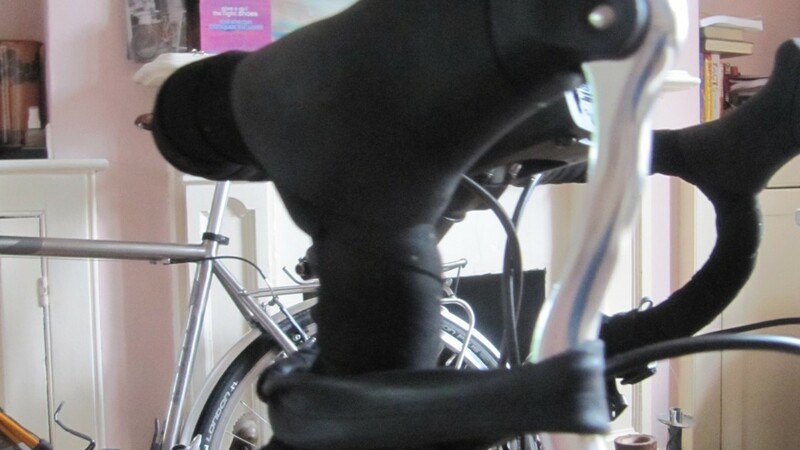 First measure out a length of cord by tying it around your handlebar and brake lever, then cut the cord making sure you leave enough to put on the cord end; put the two ends through the toggle to create a loop and voila! – You have yourself a parking brake! 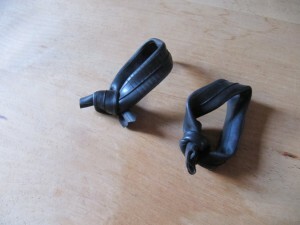 Alternatively if you don’t have elastic cord and cord ends you can make a much cruder (but equally effective) version using old inner tubes. 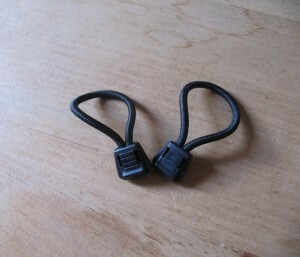 Measure out the tube length required and then cut the inner tube to the correct length, tie into a loop and use the pliers to pull the knot as tight as possible. We have found these simple devices very useful on previous rides, especially when travelling on trains, and hope this tip will come in handy for you too!